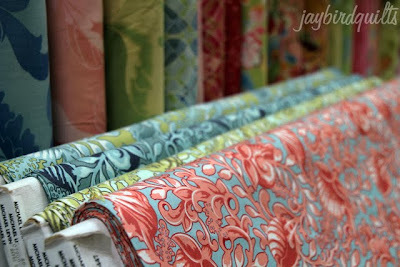 this week's report includes my visit to the la fabric district... eek! so not too much sewing yet... but i'll get back in the swing of things! 2.5 yards of castle peeps! stay tuned for castle peeps summer camp! for the philadelphia modern quilt guild's project pure! 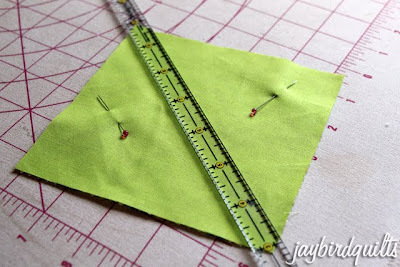 and i do that sometimes... but i also use this ruler..
draw on either side.. and then sew directly on those lines! now i need to press & trim them! 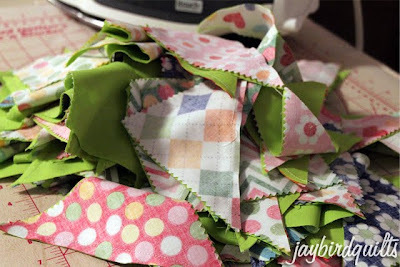 the green is going to make for one very bright quilt!!! 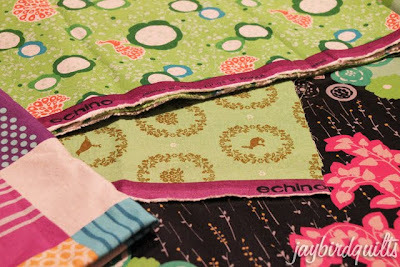 and.. nothing in or out for my bee blocks.. but the last of them arrived!! 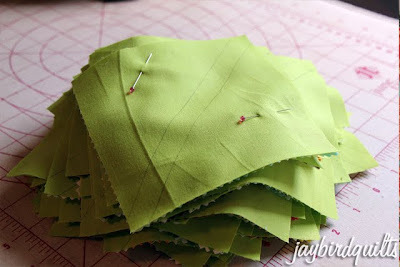 so now i can get started on cutting sashing & putting it all together! Those echino prints are gorgeous! You are KILLING me with the Remix charms. I can't find them ANYWHERE on the Interwebs! Do you have a source? they will be available in september! Yummy! Can't wait to see that green...the only thing better than grey is "the other g-word"
I can only wish and dream to have a stash like yours! 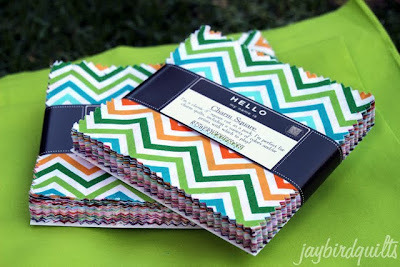 I love my little ruler like that for HSTs....I only use that every time! So super productive- but would we really expect anything less? heheh! What is that ruler called and where can I get one?! I need one of those! 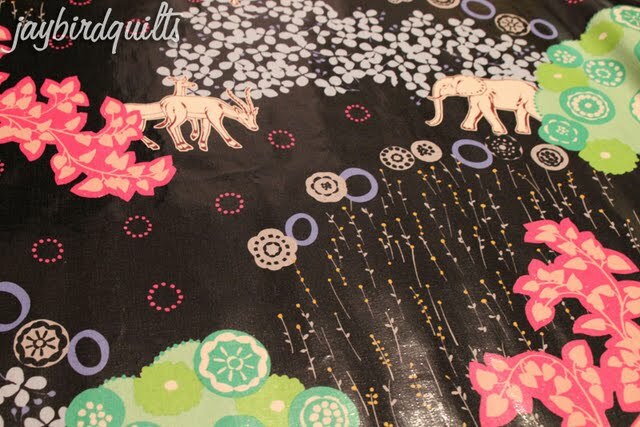 *squeaks* You're remix quilt is gonna be super cute! I really love that green! Now I know what to do with those 1/2" rulers. I just ran to JoAnn's & got one - Thanks - that makes all of these HST so much easier. 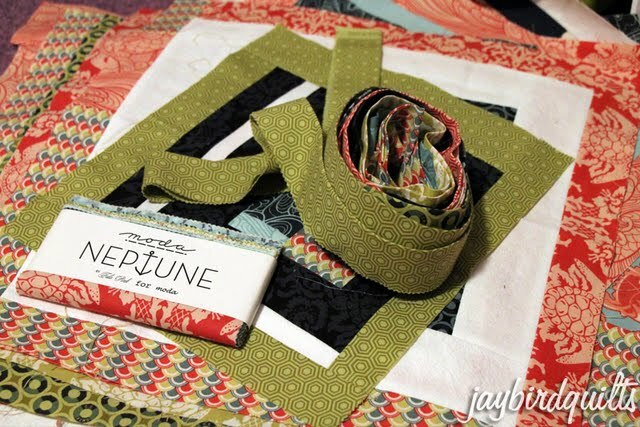 Can't wait to see your Neptune quilt come together. Great fabrics...I really want to start keeping track of the ins and outs of my stash...so question...does it count as "Out" if you finish a quilt top...even if you're going to keep it for yourself? I've been doing the same thing with my 1/2 square triangles, using a 1/2" ruler and sewing on the line, instead of sewing 1/4" away from a line in the middle. I'm much, much happier with the results. 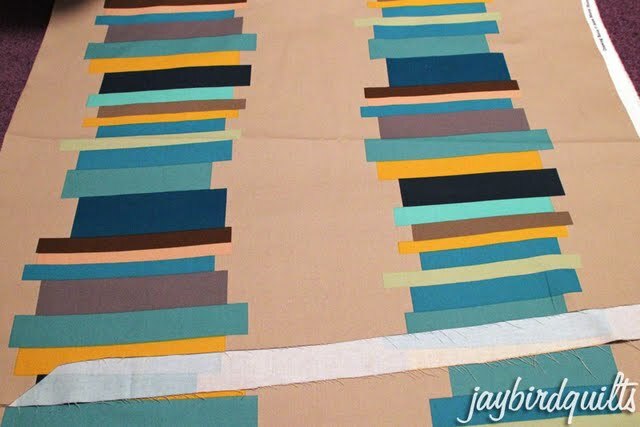 This stash report was not nearly what I expected it to be! 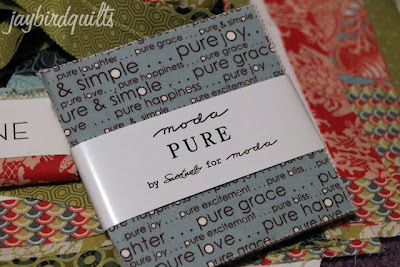 Brainstorming on what to do with that beautiful set of Pure. Wow! 10.5 yards of Neptune. I can't wait to see what you do with it! 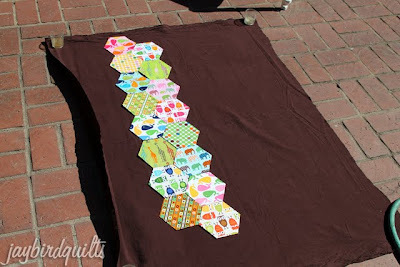 I love that little ruler...with the amount of HSTs I'll be sewing soon I am definitely getting one. I have that awesome little half inch ruler and use it the exact same way! Gotta love a little tool that can make a job a LOT easier!